We were off to a company lunch. 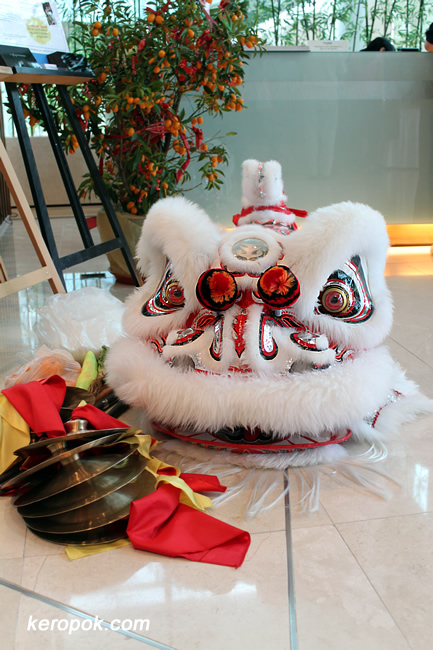 They had invited the Lion Dance troupe to perform. Here's the lion head resting before the performance. It looks quite pretty eh?